What should I encourage instructors to do at the beginning and end of each term? Every institution is different and will have varying items to complete at the beginning and the end of each term. However, there are some best practices that should not be overlooked while encouraging instructors at the beginning and end of each term. Know how use Sublime LMS and do simple, general course building. Make sure courses are properly built for their needs. This includes, proper course names, sections, cross-listed sections, etc., before they do any work with their course(s). Double check that the start and end dates are correct for the term and course. 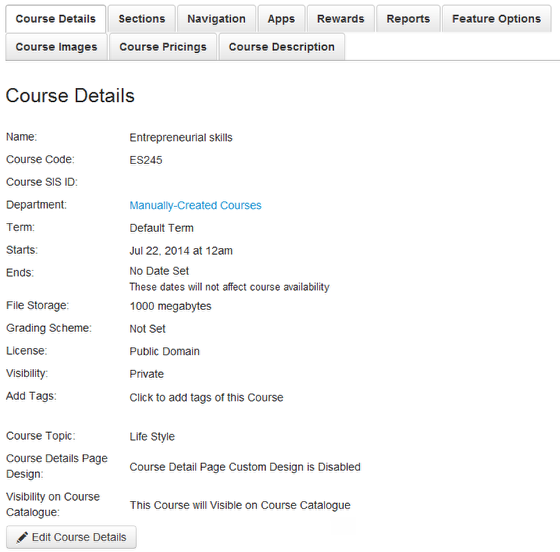 The course(s) and section(s) need to reflects appropriate term dates. Copy content into the course, if you are migrating from another system. Otherwise, it is a best practice to build the course from scratch in Sublime LMS. Update the syllabus, make sure assignment dates are set properly, make sure quizzes and/or surveys have been published. Make sure the grading scheme has been set. Make sure Assignment groups are set up correctly. Make sure files or folders that you don’t want students to see are locked. Check course content to be certain all the information is there. Building a course straight in Sublime LMS is usually easier to edit than importing content and fixing everything that goes wrong. A best practice would be to download the files and/or course content you want to move to Sublime LMS and then manually upload everything into Sublime LMS. Sure, it may take longer, but in the end the instructors will have to look over their content and perhaps change some of it to make it better. Another fact, if a quiz was used as an extra credit quiz as a survey, it will need to be turned back to a quiz before being copied. If instructors have courses they no longer want to use, encourage them to conclude or delete the course for the benefit of their students. If your institution allows students to see their future enrollments, any course that is not published will remain in the Future Enrollments section of a student's Courses but will not be accessible to students. Concluding or deleting the course will remove these courses from this section. Make sure all assignments have a graded value. 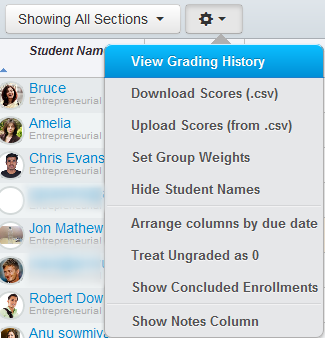 For example, a score of 0 or default grades for all ungraded assignments. Download .csv gradebook for backup. Publish to SIS (feature) or manually enter into SS. Get ready for the next term. The term dates will specify when the term ends. However, some institutions allow instructors to have access to their course(s) for a year or more after the term has ended to get content or copy content. There should be no reason to manually conclude a course at the end of the term if the term dates are set correctly and effectively. If a situation arises where a course must be concluded earlier than the end term date, instructors can change the end course date or conclude the course in Course Settings (if they have permissions to change the course state).